Photo details: Stunning bride and groom, Fran and Tim had the good taste to book Sundridge Park Manor for their Wedding. 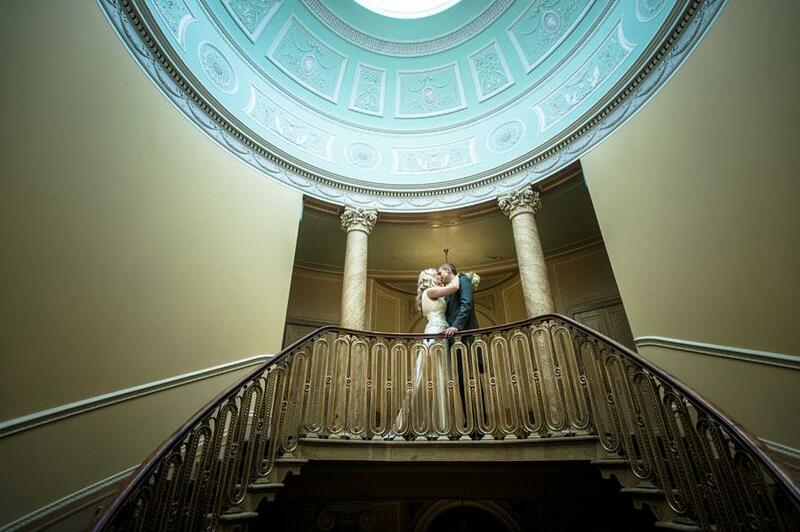 It was designed by John Nash my favourite architect and offers stunning backdrops such as this domed ceiling, perfect for this intimate portrait. About the photographer: I specialise in beautiful, stylish and creative contemporary wedding photography. By documenting what unfolds I captures the essence of the wedding - the laughter, the tears, the joy and all of the emotions of the day. London based, I have photographed weddings from Cornwall to the Orkney Islands, Florence and Marrakech. With Perfect Day photography you get a record of your special day adapted to suit your own unique individual requirements.